At the same time, U.S. officials acknowledged that there is a rare divergence in the U.S. and Israeli approaches, with Israelis emphasizing the possibility of a military response out of concern that Tehran may soon have the know-how for building a nuclear bomb. “Is there a difference of emphasis? It certainly looks as though there is,” said a senior American Defense official, speaking on condition of anonymity when discussing the sensitive talks. U.S. and Israeli officials believe Iran is enriching uranium with the aim of building nuclear weapons. Tehran says that it is engaged in a peaceful enrichment program for civilian energy purposes. Pentagon Press Secretary Geoff Morrell said in an interview that U.S. officials have often made it clear to Israeli officials that Washington prefers to try to mitigate the threat from Tehran by applying economic pressure. “The military option, although always available, is not our preferred route,” Morrell said. 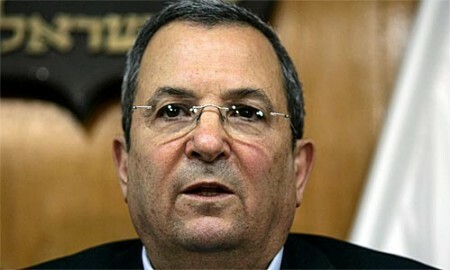 Barak left Israel for Washington amid reports in the Israeli press that he would try to talk the Bush administration out of what many Israelis perceive as a more conciliatory policy toward Iran. Speaking to reporters in Washington, Barak said that there remains time for “accelerated sanctions” to try to persuade Iran to abandon the nuclear program. Israeli officials were concerned in December when a key U.S. intelligence report concluded that Iran had abandoned an effort to build a nuclear bomb. They also have noted with concern comments this month by Navy Adm. Michael G. Mullen, chairman of the Joint Chiefs of Staff, that an Israeli airstrike on Iran would further destabilize the Middle East and compound the strain on overworked U.S. forces. Also this month, in a rare move toward engagement with Tehran, a senior U.S. diplomat took part in international talks in Geneva about the nuclear program. And U.S. officials have floated a proposal for opening a low-level diplomatic office in Tehran. These gestures have taken place at a time of intensifying discussion in Israel about the wisdom of an Israeli military attack on Iran before the Bush administration leaves office. Gates, in an hourlong meeting with Barak, told the minister that the United States intends to consider providing radar to Israel that can detect ballistic missiles launched from Iran and supplying weapons to counter rocket attacks from Lebanon and the Gaza Strip, according to a senior Defense official.